A Western Isles family were saved from a blaze in their home which broke out while they were fast asleep early this morning. They only woke up thanks to the fire alarm sounding out a high pitch alert as smoke silently spread throughout the property. The occupants speedily evacuated the building and called for help shortly before 3.30am. Three fire crews – from Stornoway and Shawbost – tackled the flames. The fire started in the rear of the residential dwelling in Tong, three miles outside Stornoway. Four firefighters were forced to don breathing sets as protection against the heat and smoke, allowing them to get closer to the seat of the fire. Two jets and two jets were deployed on the blaze. Later, fire crews used a thermal imaging camera to detect hotspots which could reignite flames. SSE electricity engineers were also summoned to make the property safe. 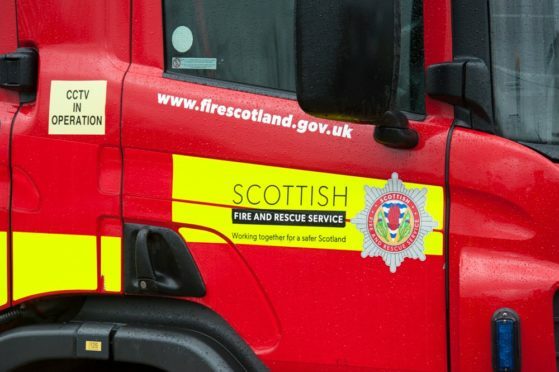 Fire Scotland said the occupants were “safe and well” after their fortunate escape, thanks to being woken up by the fire alarm.